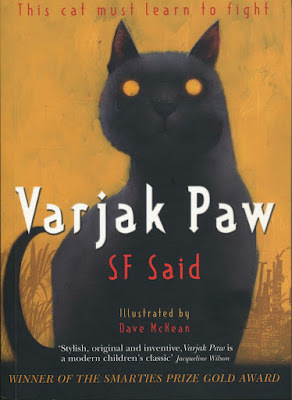 SF SAID: "Will There Ever Be A Third Varjak Paw Book?" 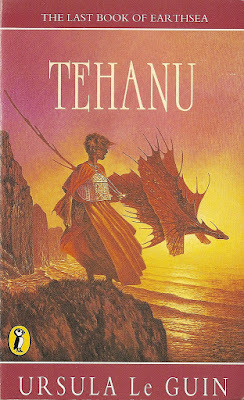 When I first read Ursula Le Guin's Earthsea books, they were a trilogy about a hero in his prime. In A Wizard Of Earthsea (1968), The Tombs Of Atuan (1971) and The Farthest Shore (1972), she told the story of Ged, also known as Sparrowhawk, as he grew from Gontish goat-herd to world-saving wizard: a classic children's book narrative. That seemed to be the end of it. But then she found new stories to tell. 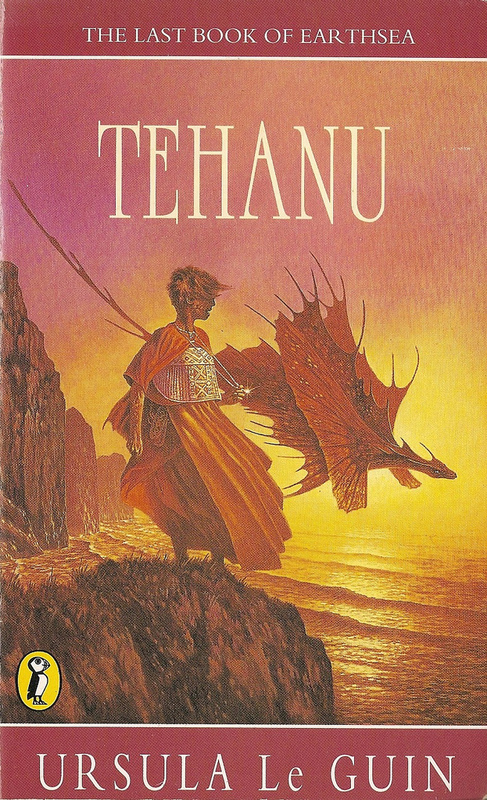 In Tehanu (1990), she showed Ged living a life without magic, learning to take satisfaction in the pleasures and pains of an ordinary existence with Tenar, the priestess who shared his greatest adventure. The book follows her story as much as Ged's. 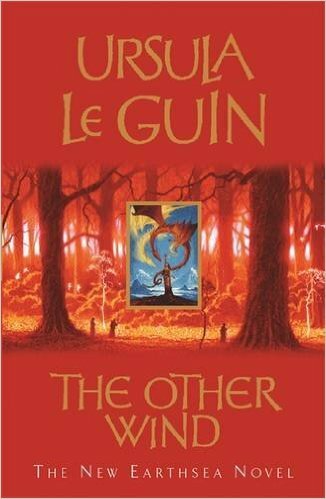 Then in The Other Wind (2001), Le Guin showed Ged near the end of his days: still wise, but almost an absence now, reconciled to his irrelevance. The story was about other characters finding their way without him. Le Guin wrote a new story whenever she had something new to say. That seems to me exactly right. I've never wanted to give my own characters new adventures in which nothing changes. Repetition seems to me a much bigger risk than letting them grow. So in my first book, Varjak Paw (2003), Varjak is a kitten: a very young character who learns a secret martial art from very ancient cats. 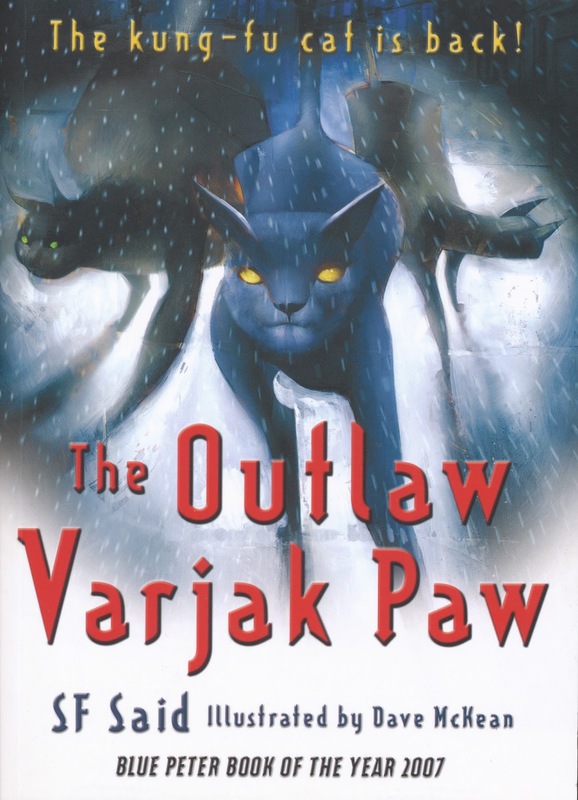 In The Outlaw Varjak Paw (2005), he is a grown-up cat, and the questions he faces are grown-up questions about law and justice, politics and morality. I stopped there, because I didn't have another story to tell about him. And I had other things on my mind, such as my space epic, Phoenix (2013), and my current work in progress, Tyger, both of which are about young characters finding their way. But the one question I've heard more than any other since 2005 is: "Will there ever be a third Varjak Paw book?" To my surprise, now a decade has gone by, I find myself thinking more and more about Varjak. He seems to be ageing with me. I now feel sure there will be a third book, in which the story comes full circle. Varjak will now be an old cat himself, teaching the secret martial art to much younger kittens: passing it on. That makes sense to me as the shape of a trilogy, and the shape of a life. But to write a story about an old character, perhaps you should be old yourself, to know what it feels like. I'm getting there faster than I thought possible, but I'm not quite ready yet. I am keeping notes, though, making plans, gathering material for that time. It's comforting to know that far greater writers have made this journey. I look at Le Guin's example. As she recently said of Earthsea: "Authors and wizards learn to be patient while the magic works." I just hope readers can be patient too. Hi SF Said! I really love your book Varjak Paw and the sequel, and I've read them both too many times to count! Their amazing, and I was really pleased to hear there would be a third book! It helped me to get some ideas on a book I'm trying to write (I hope that's OK with you) and it really inspired me! I want to read some more of your other books also, as they seem great too! Thank you so much for your amazing comment! I'm so glad you've enjoyed reading the Varjak Paw books, and it's incredible to hear that you've read them many times. It's also great to hear that you're looking forward to the third book – it will definitely happen one day! 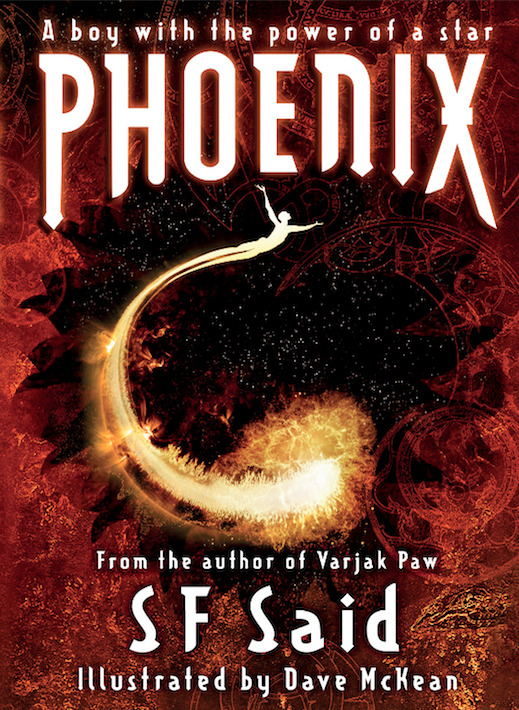 In the meantime, have you had a chance to read PHOENIX yet? That's my only other one so far. I'm working on a new one called TYGER at the moment, but it still has a way to go before it's ready to be published. Please do come back and have a look here from time to time, though - I'll definitely blog about it when it's ready, as well as sharing any Varjak news! And good luck with your own writing - I'm honoured if something I've written has helped to inspire you! I read Varjak paw in 13 years. This book made a huge impression on me. I'm 23 now. It was the best book I've read so far. Though much time has passed, I am still waiting for the third part Varjak and wait until it comes out. Thank you so much from all the Russian fans Varjak. Thank you so much for your comment! It's amazing to hear that Varjak Paw is still the best book you've read, after all that time. The third part will definitely happen one day - thank you for your patience. And please thank all Russian fans of Varjak Paw for me, and tell them to keep the Way alive! Hello SF said! I absolutely LOVE the book the Outlaw Varjak Paw! It's my favorite book and is just as good as warriors! But now to my main point. My point is that I'm a really good 2d animator and am willing to make a movie for it. I just need voices! I've just got a unique drawing style for cats but that's fine! I need to re-read the book and write a script first though! Thank you so much for your message - I'm really glad you enjoyed reading The Outlaw Varjak Paw! I hope you enjoy re-reading it - and good luck with your script-writing and animation! Thanks! I'll host a casting call soon! It might take a couple years but I'll update you on the progress every now and then! I think PHEONIX should have a sequel about what happens after the space wall comes down and how there is still tension around Axxas and Humans.I want to know who Gala gives her power to and what Theobroma says about the alliance once the black hole has gone: is he still willing to unite? Thank you for you fantastic message! I don't have any plans to write a sequel to Phoenix at the moment – but if that is a story you would like to read, I would be totally honoured and thrilled if you wrote it yourself! I've seen great stories that readers wrote based on Phoenix and Varjak Paw, and some of the first stories I ever wrote were based on other people's characters and worlds – it's a good way to learn about writing. Here's a link to a blog I made about writing that I hope might be helpful. Thank you very much for your Varjak Paw books. I love them! I hope there is a third book soon. Good luck with your books! Thank you so much for your very kind comment! As I say, there will be a third book one day, but not for a while yet. In the meantime, have you had a chance to read Phoenix yet? It's not about Varjak, but it comes from the same place, so I think you will enjoy it too. I've read the Varjak Paw books hundreds of times, and they're always just as thrilling each time. I first read it in primary school, and ever since then, they've remained my favourite books. Thank you for writing them, they are a huge part of my life and have taught me so much. Do you still plan on writing a third? I love the concept you had for it. Thank you so much for your amazing message! It means so much to an author to hear things like that. How long has it been since you read it for the first time? Thank you so much Amira, that means a lot to me! The third book will definitely happen one day. Until then - keep the Way alive! I'm a primary school teacher in my 6th year of teaching and have had Varjak Paw suggested to me by many pupils over the years and I finally got round to reading it and was really blown away. It really captivated me and brought me back to being a 10 year old boy who was never a big reader but had a few books that I adored. I am now really lucky to have the opportunity to share my favourite books with kids in my class and I have a long list desperate to read this after my review. Thanks for an awesome book! Thank you so much for your amazing message! That really means a lot to me. I don't find writing easy – Varjak Paw took me 5 years to get right - but all the hard work feels worthwhile when I hear something like that. And thank you so much for sharing it with your class! Please say hello to them for me, and wish them all HAPPY READING!